On Oct. 24, 2017, FierceMarkets hosted a joint webinar by PatientBond and the American Heart Association focused on reducing 30-day Congestive Heart Failure (CHF) hospital readmissions and preventing the progression of cardiovascular disease. Patrick Dunn, Senior Program Manager for the Center for Health Technology & Innovation of the American Heart Association, discussed the scope of cardiovascular issues in the United States and the relatively high readmission rates for patients with CHF. 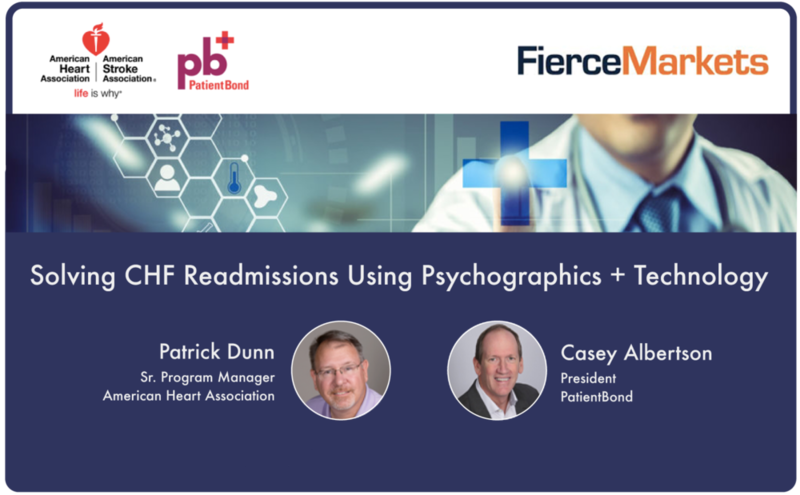 Casey Albertson, President of PatientBond, presented a case study in which PatientBond — using its platform for automated messaging personalized with psychographic insights — reduced CHF readmissions >90 percent at a large, nonprofit hospital system. 30-day Readmissions Reduction program for CHF, AMI and CABG. Q: Why would AHA partner with PatientBond? A: PatientBond has proven results behind the only commercially viable psychographic segmentation model that we have seen.Its digital platform is powerful, able to handle millions of communications and includes response prompts allowing two-way engagement and patient response tracking and measurement. The PatientBond team is flexible, easy to work with and highly responsive. Q: Are all products available today? What is the timing for these programs? A: Timing for implementation mostly depends on a client’s readiness to implement (e.g., internal review and approvals). With signed paperwork and client alignment, we can initiate the program within three to four weeks. Q: Do you have any current clients on these programs? What kind? A: Yes. We have hospitals/health systems using the readmissions platform. We have a health plan using the wellness (12-week) platform. We are in discussions with clients about the treatment (12-month) platform. Q: Are members of the AHA available to discuss this with members of our institution? A: Yes, as appropriate. This might be in person, over webconference or by phone, depending on the scenario and need. Q: How much does this cost? What is your pricing structure? A: The program will be affordable given the results it has demonstrated. Pricing will be consistent with other solutions in the market, though we are highly differentiated with our personalized, psychographic messaging and effective with proven results. We're also very interested in the prevention of cardiac events for the American public. Final pricing will depend on scope, population size and complexity of a client’s organization, systems and processes. Q: My institution is currently a supporter/member of the AHA and we are involved in other types of initiatives and programming. Can we discuss how psychographics help there? A: Absolutely. Please contact Pat Dunn at the American Heart Association to discuss opportunities. Q: With whom do we contract to get this? Who manages the invoicing? A: PatientBond handles the contracting and invoicing. We have a 3.5-page End User Licensing Agreement (EULA) with appropriate stipulations around IP protection. It is very easy to review and approve. Q: Can my organization be a reseller of these programs – does this opportunity exist? A: Yes, this is an opportunity for other organizations, pending an evaluation of their objectives and capabilities. We want to help as many people as possible who can benefit from these programs, and other organizations can help us scale it faster. Q: What is the relationship between the American Heart Association and PatientBond and how is being rolled out to the provider community? A: This is a collaboration between the AHA and PatientBond, in which AHA provides the cardiovascular educational content and PatientBond provides the communications technology and psychographic segmentation model in a revenue-sharing agreement. PatientBond is not a sponsor of the American Heart Association, but rather a collaborator in getting people engaged. PatientBond is leading the sales and marketing efforts for these programs, though the AHA will help with introductions among its network. This collaboration is open to resellers and other organizations who can help scale the offering. Q: Could the speaker repeat the stats on model accuracy when classifying the general population into the five segments? A: The model is 91.1 percent predictive to which psychographic segment a healthcare consumer belongs. Asking a healthcare consumer the 12 Classifier questions prospectively is the most accurate way to identify his or her segment. PatientBond has worked with a national data compiler company to project the five segments across the U.S. population of adults age 18+, but such projections are less accurate. Q: Is the data or experience different for people who have Medicaid for insurance? Given that Willful Endurers are generally the least engaged segment regarding health and wellness and seek immediate gratification, this is a challenging audience to motivate desired health behaviors. It can be accomplished, though, with the right approaches. Willful Endurer-specific messaging — different from the messaging that motivates other segments — has been shown to influence their behaviors. 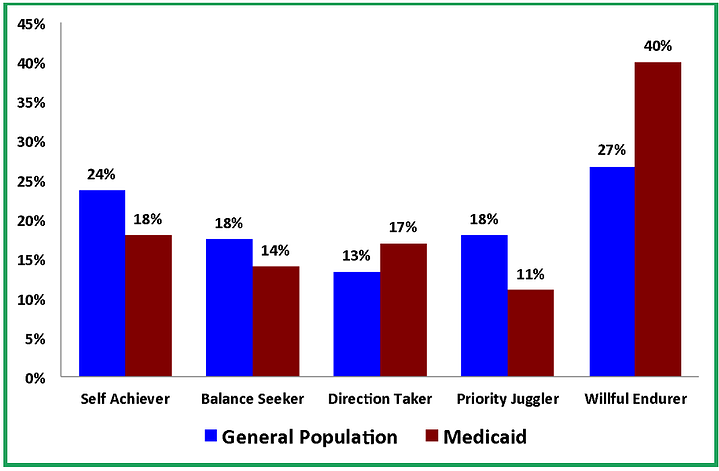 Note: In Medicaid initiatives, we have had success (20-25 percent behavior change), though this not in the magnitude of the CHF results discussed. Q: Will we get to advertise that this is an American Heart Association program? A: The AHA name and logo come with defined parameters for use, but yes, we want consumers to know and trust where this content is coming from. This helps with program adoption and credibility. Q: Is the program secure? What about Personally Identifiable Information/HIPAA compliance? A: This is a highly secure web-based system, with the platform managed by Amazon Web Services. It is cloud-based and API driven. We’ve been reviewed at some of the largest and most respected medical institutions and passed all of their criteria and guidelines, signed BAAs, etc. If you would like to see security documentation, please contact us and we’ll send it to you. Q: Can we use our own content instead of the AHA’s? A: We strongly recommend using the AHA content because it is widely recognized as the premier source of cardiovascular information and education. If you were to opt for your own content, the pricing structure may change as it adds complexity to product delivery. Q: Do you think this is appropriate for pharma company (or other verticals)? 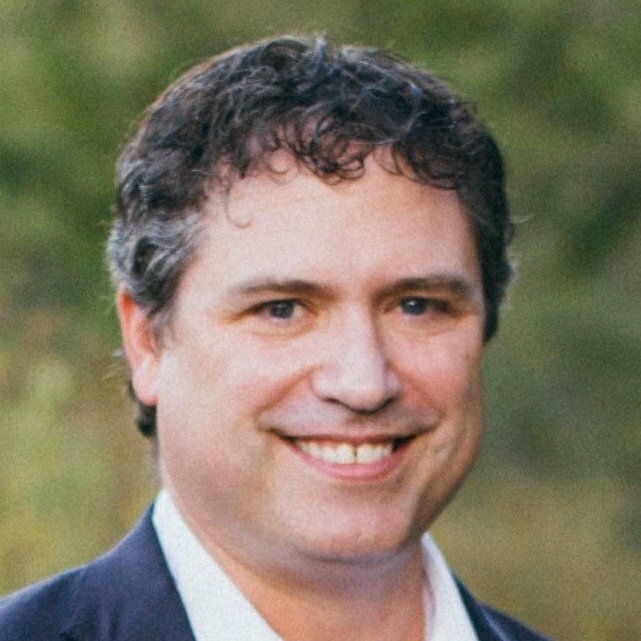 A: Casey Albertson: Yes – in my previous roles at P&G Pharmaceuticals in field sales and Account Management, I could have greatly benefitted from bringing such effective programs to institutions. Offering these programs as a value-add or in conjunction with strong pharmaceutical products would have differentiated me and my company. Q: How is this different from other programs, such as PAM? A: PAM is a good program and Judith Hibbard is widely recognized for her work with Patient Activation. PAM is well documented with results. As we mentioned in our presentation, patient education is necessary but not enough…. the AHA has among the best heart health education available. But the five psychographic segments appear in all quadrants of PAM and across all populations. It’s a mechanism to motivate the desire for education and behavior change. If anyone has additional questions for the presenters or would like to discuss these programs, please contact the team at AHA@patientbond.com.